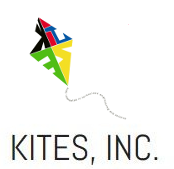 Goals and Objectives – KITES, Inc.
To “do science” in a fun, inquiry-based, hands-on way that fosters problem solving and critical thinking. Mentor students personally and professionally to ensure that students are adequately prepared for their future STEM related classes. By mentoring the students, we are hoping to have each student complete college in four-five years and then become outstanding leaders in their field of choice. Involve parents of underrepresented students so they can be active participants in preparing their children for a rewarding career in the sciences. We will seek out the best STEM related programs and present them at after-school programs and summer camps. We will respect and value the background and experience of each child, and we are committed to offering a culturally-competent learning experience for all. We will hold an annual science and engineering festival in conjunction with the USA Science and Engineering Festival. We will develop and implement a free mentoring program for our students with local colleges and corporations. KITES will plan and execute a recurring Family Science Night.